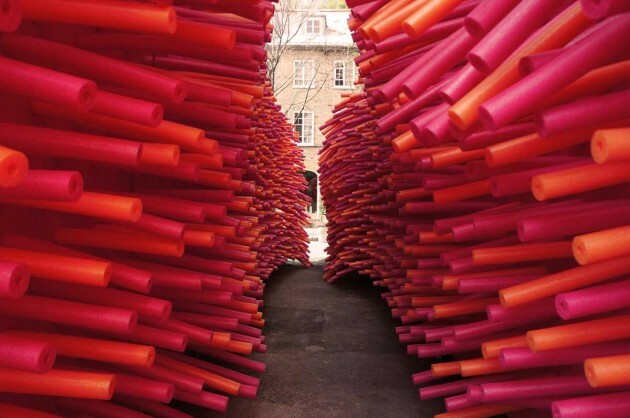 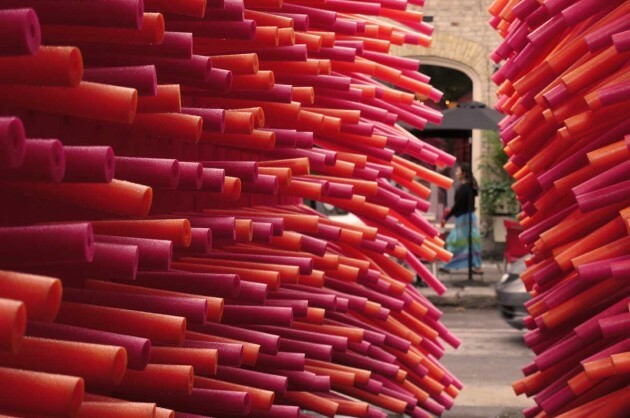 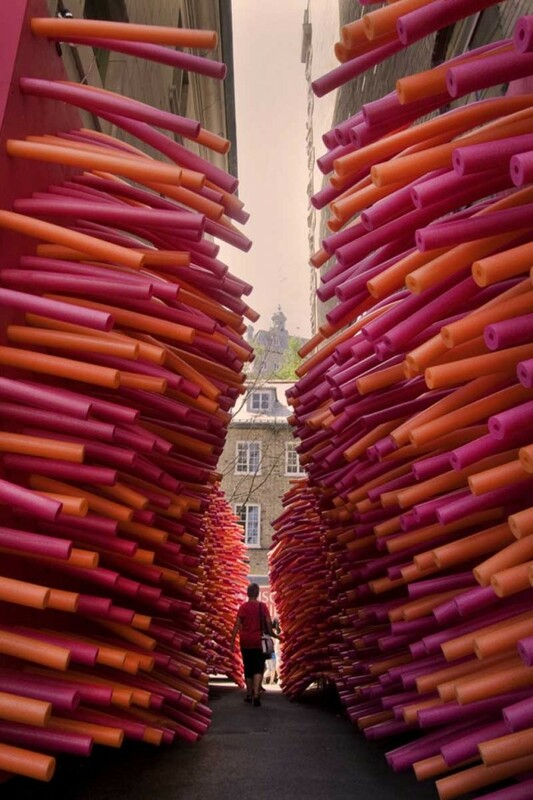 Hundreds of pool noodles invaded an abandoned alley in Quebec City, Canada as part of Delirious Frites, an architectural installation created by Les Astronautes. 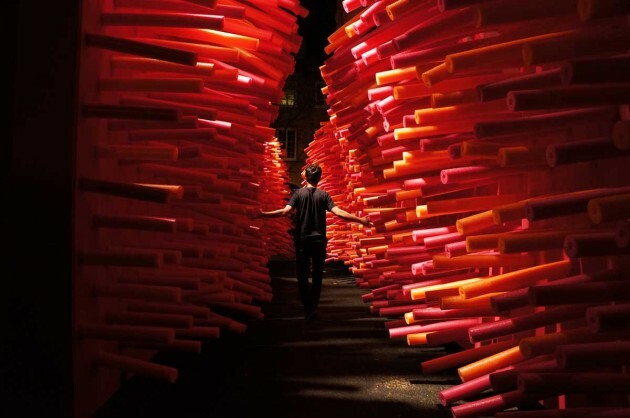 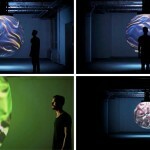 The piece creates a total environment that throws passers-by into a completely different world. 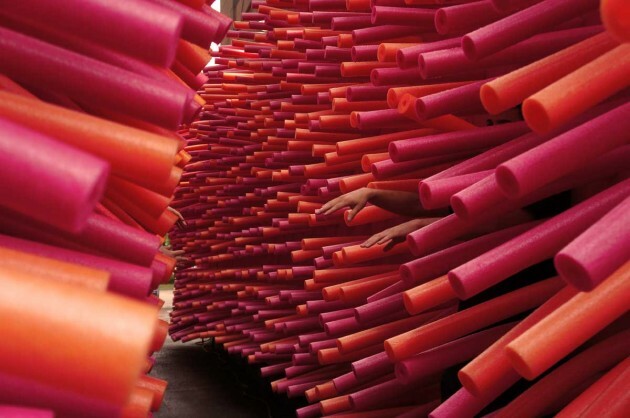 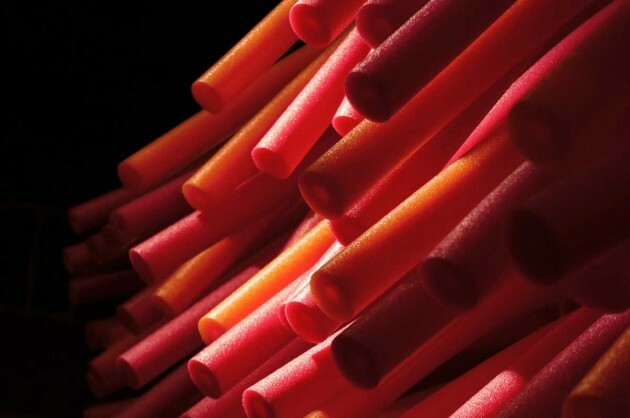 The large number of pool noodles generates a colourful atmosphere reminiscent of summer that also has something uncanny, organic and lifelike, almost like vines in a jungle. 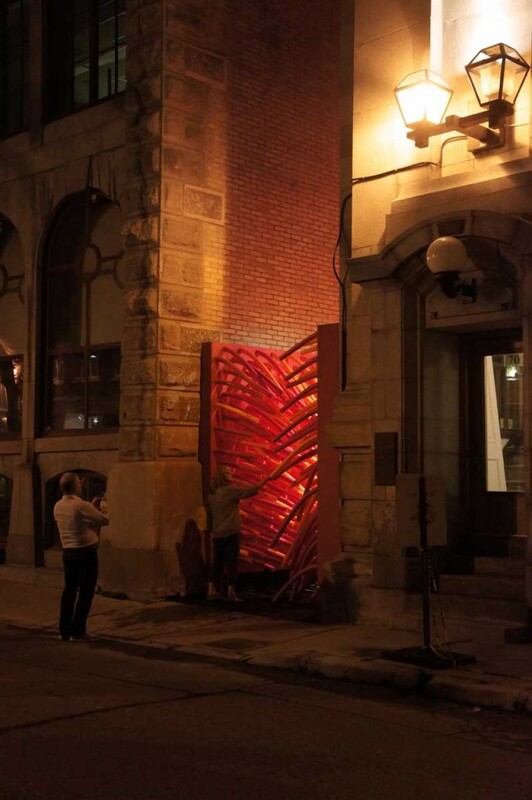 The intervention takes advantage of the anonymity and the narrowness of the site. 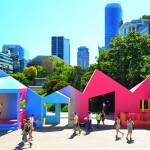 The contrast with the historical surroundings attracts people to discover this forgotten space in the city. 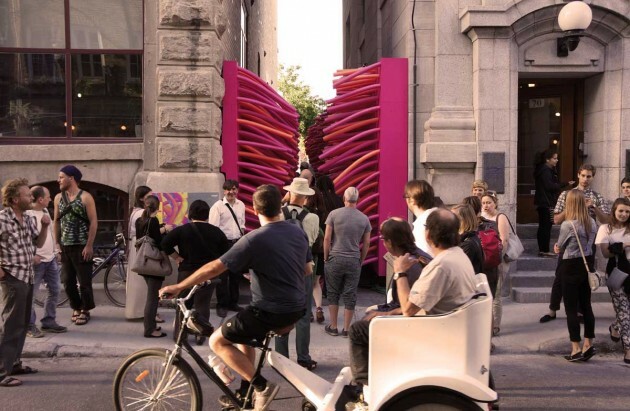 Delirious frites was built as part of Les passages insolites, a public art festival curated by EXMURO. 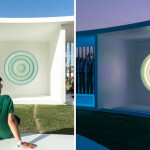 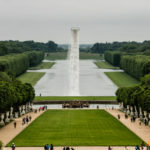 Funds for the installation are provided by l’Objet.